dashboards, reports and advanced alerting system. issues from a single console. 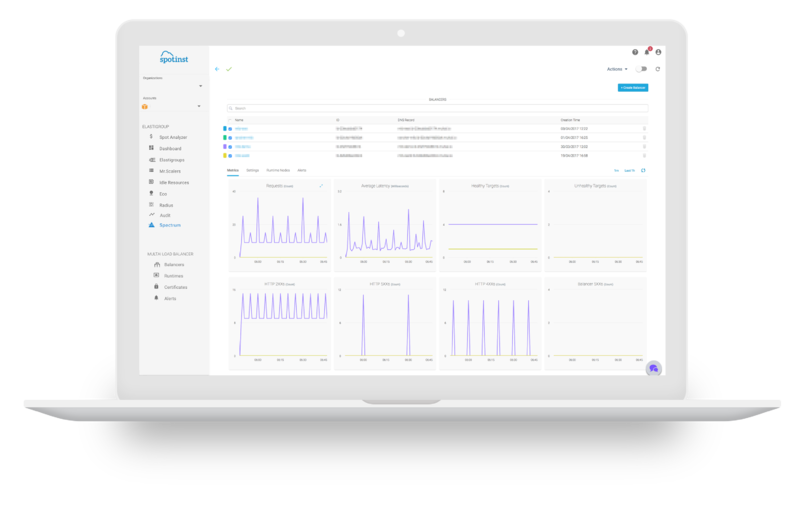 Spectrum provides cost and health analytics across all your servers (Public, private, on-prem, Linux or Windows). Spectrum allows you to create alerts that will send you notifications or take other automated actions according to your metrics' value. Report custom metrics generated by your own applications via a simple API request. You can report and store valuable metrics on your application's performance to help you troubleshoot and spot trends. Spectrum is fully integrated to Spotinst Elastigroup. That allows you to create Scaling Policies to scale your instances up and down based on your application's Spectrum metrics. 14-day trial of immediate optimization to your account.